Nomination forms and other documents relating to the election can be downloaded from www.cne-siar.gov.uk/electionoffice/croftingelection; obtained on request, by e- mail to elections@cne-siar.gov.uk; or from the Election Offices detailed in the Notice of Election. Completed nomination forms must be submitted by Thursday 26 January 2017. An election will be held in each contested constituency by postal ballot, with votes having to be returned by 4.00pm on Thursday 16 March 2017. The count will take place in the Town Hall, Point Street, Stornoway, Isle of Lewis HS1 2XF on Friday 17 March 2017 at 10.00am. The election nominations have been called at a time when the current Crofting Commission remains in chaos. The board is divided, the Convener is ostracised but remains in position possibly pending the outcome of a complaint made by him against Fergus Ewing MSP, Cabinet Minister with responsibility for crofting. Vacancies for two appointed Commissioners remain unfilled. With elections now in sight there is perhaps a glimmer of hope that they will herald in a new batch of commissioners and, as a result a new and improved Crofting Commission. However, the current Convener, Colin Kennedy, has already expressed his intention to stand again for election. He has been accused by many as the root cause of the problems that have plagued the Crofting Commission throughout its first five years of existence. So will it be a change for the better on 17 March 2017 or another 5 years of chaos, trouble and strife? That is now in the hands of the crofters who are the electorate. @Linda_60_B Indeed. Especially in Shetland where they are fishermen with a croft rather than in Orkney where they are farmers with a boat. @direcleit @scotgov @CroftingScot Indeed. Just thought the photographic emphasis on fishing rather than crofting a bit odd. To stand for election as a crofting commissioner you do not actually have to be a crofter as long as you have been nominated by a crofter entitled to vote at the election. 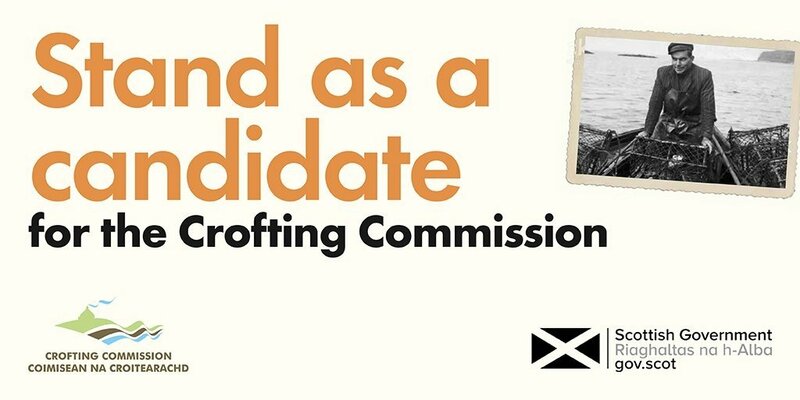 So a pure fisherman, without a croft, could be a crofting commissioner. My father was a Shetland fisherman and not a crofter. He was not even a fisherman with a croft. However, he would, I am sure, have made a better crofting commissioner than many of the crofters who hold that position today. Perhaps non-crofters being nominated for and being elected as crofting commissioners would avoid the conflicts of interest and power struggles that have plagued the current Crofting Commission over the past five years? Perhaps it would be a good thing for crofting? What do you think? This entry was posted in Crofting Commission and tagged 2017 Crofting Elections, Caithness, chaos, Colin Kennedy, conflicts of interest, Convener of Crofting Commission, crofters, crofting, Crofting Commission, Crofting Commission Board, Crofting Commissioner, Crofting Commissioners, crofting elections, East Highlands, electorate, fisherman, nominated, Orkney, postal ballot, Scottish Government, Shetland, South West Highlands, Twitter, West Highlands, Western Isles, Western Isles Council on January 7, 2017 by Brian Inkster.